Disclosure: This review is based on products provided to me by a representative of EarthBath. 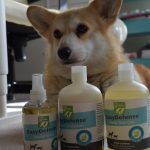 Earthbath makes natural pet grooming products that I find are perfect for my special needs with Ty and Eve. 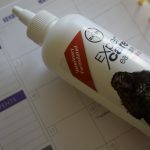 I try to use natural products with Ty because of his cancer, and I also am constantly working on natural flea and tick prevention in order to avoid putting chemicals on both dogs. 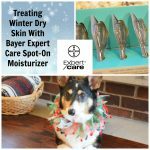 Ty also gets seasonal allergies that lead to hot spots, so I am always trying to both soothe his skin, and also prevent any additional skin irritation. EarthBath has some great products for all of these concerns. 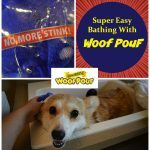 Much to their dismay, I gave the dogs baths using Earthbath Tea Tree Oil and Aloe Vera shampoo for soothing hot spots and skin conditions and also Orange Peel Oil Shampoo for repelling fleas and ticks. Both shampoos lather well but do not feel harsh. I like the additional of aloe in the skin relief product. What I really loved though was the orange peel shampoo. Citrus repels insects and the Orange Peel Oil shampoo has a rather nice orange scent that sticks around quite well after the bath. Indeed, I had been noting that Eve smelled rather dog like (imagine that, lol!) before her bath and she smelled simply wonderful after. So, not only is it great for flea control, it also is a nice deodorizing shampoo. The dogs still damp after their baths. Ty will get brushed next, something else he would prefer to avoid! Earthbath also makes a goo hot spot relief spray with oatmeal, aloe vera, and tea tree oil. This product conditions the skin between baths. I makes the dog’s coats look nice as well. Ty is coming up on his allergy season, so I am keeping this handy! 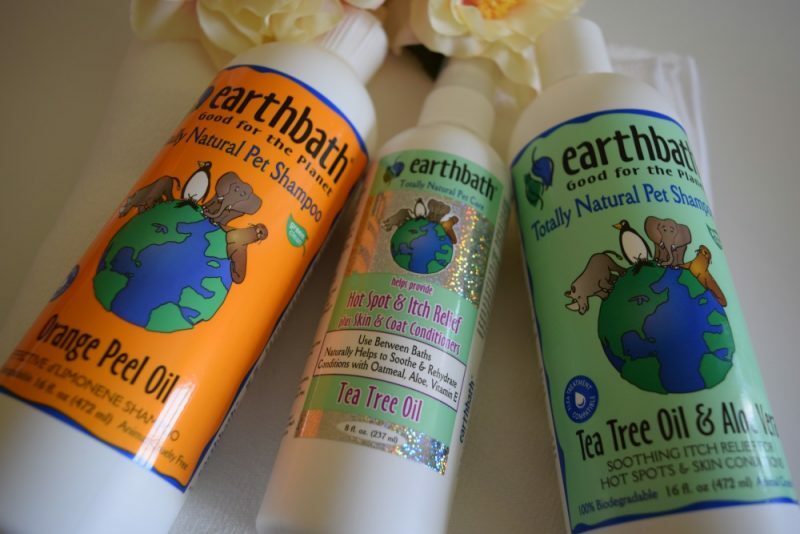 Earthbath products are all natural, non toxic, paraben and sulfate free, phthalate free, and phosphate free. The products are made in the USA with human-grade ingredients and pure essential oils, with no artificial colors or fragrances. They never use soap in our shampoos, which can dry skin and remove necessary skin oils. Sounds perfect right? Check them out here: Earthbath Website. Oooh, I’m always excited about new products! I would love to try them out! I think James would be a perfect fit for the tea tree shampoo!! Pippa always rolls around in something smelly after I have carefully washed her! Haha! Eve always does the same. She heads straight to the mulch for a good roll! Maybe the oatmeal spray will help Victor’s itching? It should help. Oatmeal and aloe both are quite soothing. Tea tree is one of my favorite scents! Also, those pups are ADORABLE! Do your dogs like to dig and roll in anything fabric after their baths like my Henry does? He leaps right in my bed and rolls, digs, and spins like a crazy dog! Eve rolls on EVERYTHING after a bath! The carpet, rugs, blankets, dirt if she can get to it, lol! I love Tea Tree Oil Products. They work wonders! Natural products are always great to hear about. Thank you for sharing! Wonderful that they are free of all those nasty toxins. Do you know if they carry any gluten free products? I think that a number of their products would not have gluten. Most are of the type that would not. I suggest browsing the ingredients on their site. I love the scent of the Earthbath Mango Tango. Mr. N is tiny but he gets a lot of baths so we go through a lot of shampoo. We have never tried EarthBath products, but they sound great. 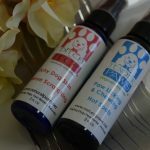 Ruby also has all kinds of allergies and autoimmune issues so these might work well for her – especially that hot spot spray. Thanks for a great review. We love EarthBath products and carried the waterless shampoo on our last road trip. It was a wonderful! I love finding good all-natural products like this! 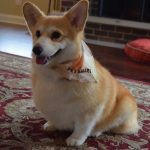 I try to stick to natural products for my pets too. 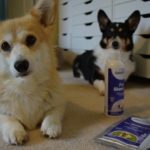 Glad these work so well for your pups! Our doggie cousin itches a lot. Mommy is going to look into this for him. We’ve used this line before and love it. I haven’t seen the hot spot and itch relief before and will definitely look for that. Thanks. The Hot Spot Relief Spray may be something my mom should get for her dog, Bandit. Kilo hates getting wet or being brushed too. Luckily I don’t have to bath him often and no allergies so far. These products look great though. 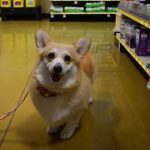 I’ve used Earthbath shampoo before (before I started taking my low riders to the groomer). It’s a great product. It’s wonderful to have so many natural options (especially since Ty can’t tolerate chemicals). 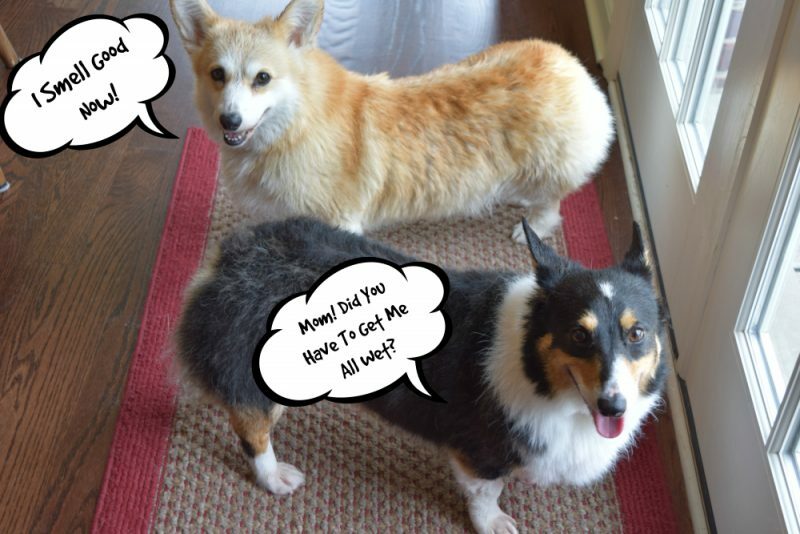 Orange scented corgis….mmmm! I’m so glad to know about these!! Rugby really seems to dislike anything with a chemical smell, and I’m trying to go the “all natural” route with him, because I just think that that’s a better choice overall. It would be great to have a natural shampoo that dispels fleas and smells great too!! They look great! I have to be careful what I bathe Nelly with because she has very sensitive skin. Unfortunately for her, she’s supposed to be a white dog and seems to need a bath every few weeks. I will have to check these out! 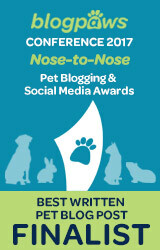 I always try to use natural products for my pets as well. Gracie is epileptic so some of the harsh chemicals can trigger her seizures. EarthBath sounds like a great option for us! I will have to try it out! This is one line of shampoos we have not tried. After reading the review, I would love to give it a try. 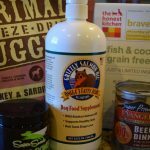 All these ingredients sound wonderful for dogs — many of my favorite scents. I haven’t tried this product but I love finding new natural products for my dogs. Thanks for sharing. 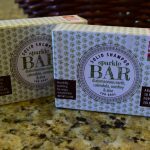 I love that these are made with natural ingredients, we’ve got to give them a try! I love how my dogs smell after a good bath, I bet these smell sweet! These look great! I love natural products. And I bet the smell good, too! Thanks for the review!